AMHE invites you to register NOW for the 46th Annual Convention scientific sessions. Thi year's Convention will take place in Havana and Varadero, Cuba. 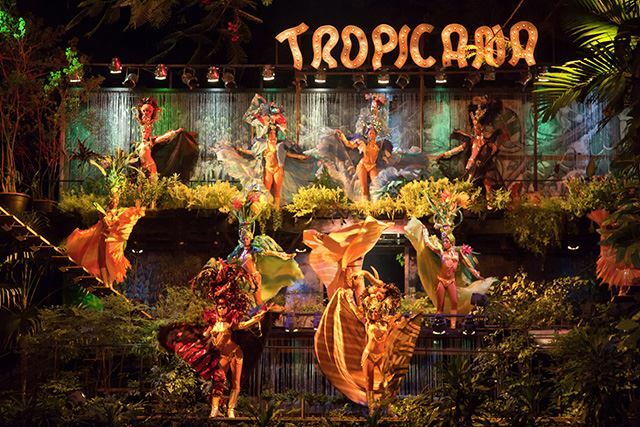 Join us from July 20 through July 28, 2019 for an unforgettable experience. The 2019 Annual Convention will be hosted by New Jersey Chapter. We thank Dr. Karl Latortue (Vice-President AMHE and Convention Chair) Dr. Yvan Ducheine (New Jesey Chapter) for their leadership in preparing this event. 1) Register on this page for the scientific sessions. 2) Call our Office assistant at 718-245-1015 to book your hotel stay. Please note that you are responsible to make your travel arrangements on your own. Participants at the AMHE convention must book their hotel reservation with AMHE within the prescribed deadlines. Be sure to review the FAQs for special instruction about your stay in Cuba. OPTIONAL excursions and sightseeing activities. Rates for AMHE Members ONLY! Rates for non AMHE Members! 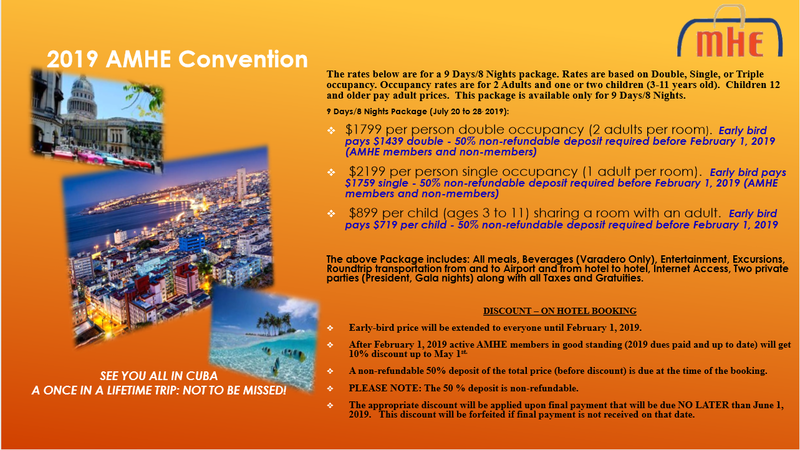 For information Hotel and travel fare and accommodations visit www.amhe.org or call AMHE at 718-245-1015. Our office assistant will deliver outstanding services to make your experience easy and enjoyable from start to finish. For best prices book and register early.